Today Mr. J provides a guest post for you. He’s quite the cook, though he doesn’t get as many chances to make dinner. With dinners like this, he could be cooking a lot more often! 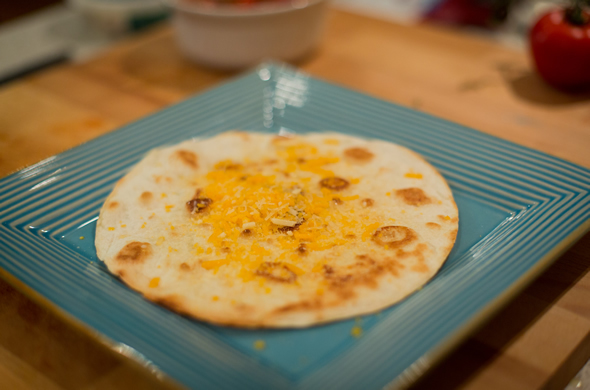 First and foremost, I do not claim to have a Mexican cooking background nor is this an authentic recipe. 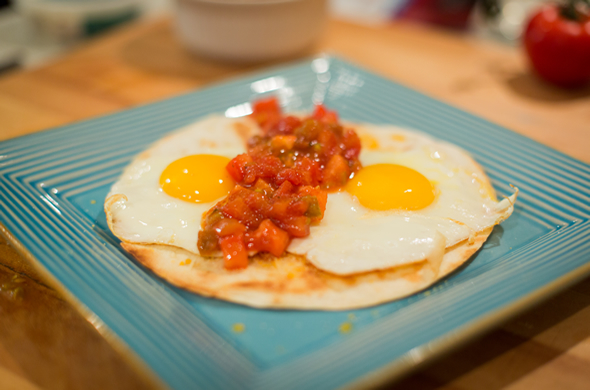 This was my interpretation of Huevos Rancheros based on looking at a few recipes online and determining what we had on hand for ingredients. 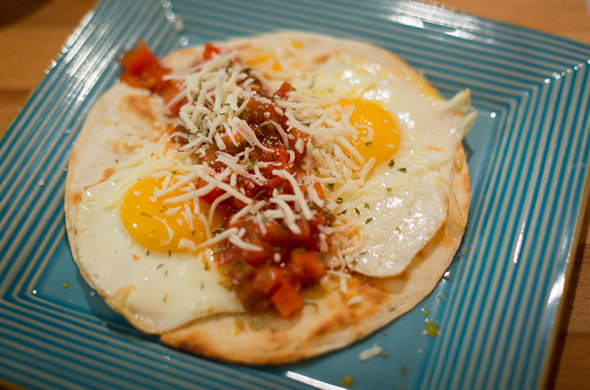 I was looking for a quick weeknight breakfast meal for dinner and came across several Huevos Rancheros recipes online, many of which offered different variations on preparation and ingredients. 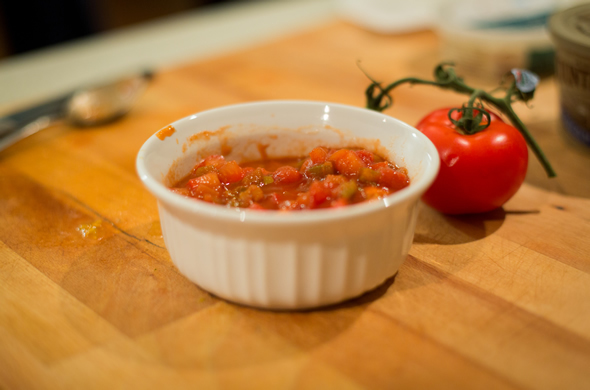 I didn’t have all the ingredients to make a fresh salsa, so I chopped some fresh tomato and added it to some existing jar salsa to freshen it up a bit. 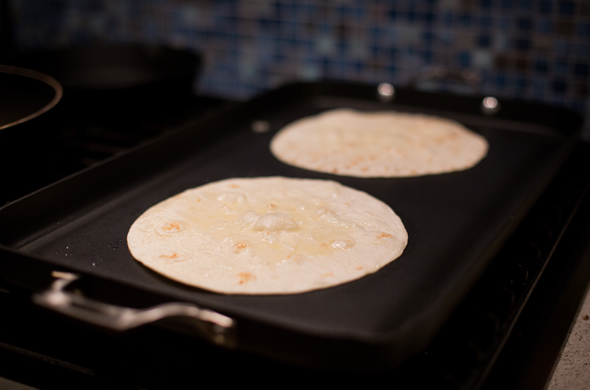 I preheated the oven to around 250 degrees, and then heated some olive oil on a griddle pan. 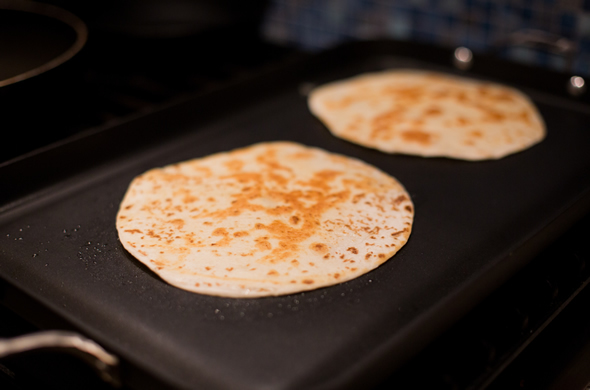 I dropped two flour tortillas on the pan for about 2-3 minutes per side, just long enough to get some browning and bubbling, and then transferred them to the oven to stay warm. 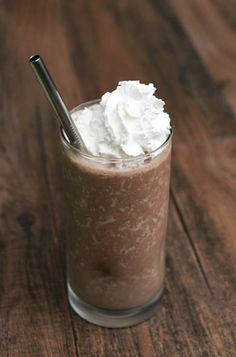 The eggs are the key ingredient in my mind, and I noticed some recipes taking a shortcut by using scrambled eggs. 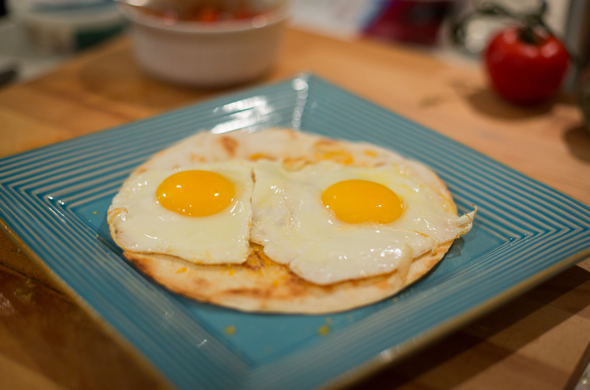 I prepared them sunny side up, because the runny yolk ties everything together and is so delicious. Finally finishing with more shredded cheese and a dash of parsley. I was really pleased with how these turned out. 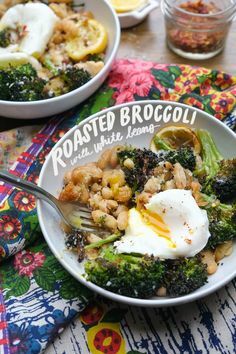 They didn’t take more than 10-15mins to prepare and are perfect for a quick and easy weeknight dinner.